Doesn&apos;t this very pretty, textured-waves style on Dee say please run your hands through my hair? You want that on Valentine&apos;s Day, right? We can help you with that. This look on Dee makes me want to chop my hair again. Actually, a few months back, celebrity hair/makeup pro Darrell Redleaf gave my natural waves a choppy cut similar to the one he gave Selena Gomez for her role in The Revised Fundamentals of Caregiving with Paul Rudd. 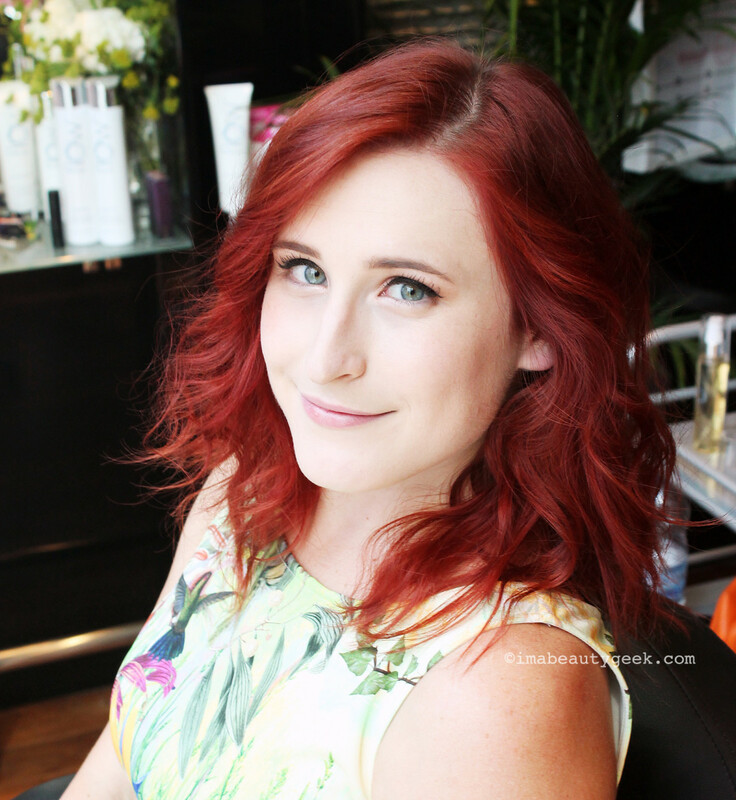 It&apos;s the cut you see in my avatar here, on Twitter, on Instagram and all over this post for Estée Lauder. But my hair grows quickly, and now it wants to be just like Dee&apos;s in this photo. Dee&apos;s hair, though, is naturally straight. If yours is too, you&apos;ll want to check out our textured-waves video tutorial with Darrell. Our inspirations were Emma Stone&apos;s short textured bob at the 2015 Golden Globes and Kate Mara&apos;s edgy waves at the 2014 Met Ball. Create vertical segments from crown to nape – but don&apos;t divide them into top and bottom sections. Mist your hair section with hairspray, then thoroughly distribute a tiny bit of texturizing cream along the length. Build volume into your style by holding your hair section up from your crown and curling from there, from mid-length to just before the tip. Use a curling wand and hold onto the tip of the hair so it doesn&apos;t get curled. Hold the wand upside down when you use it so the tapered tip is at the ends of your hair. Once you&apos;ve finished curling, let that last section cool, then emulsify a bit of Flow All-Day Tame Smoothing Balm between hands and work it through all your hair. I gotta book me a haircut – love Dee&apos;s finished look. You? You gonna do it? 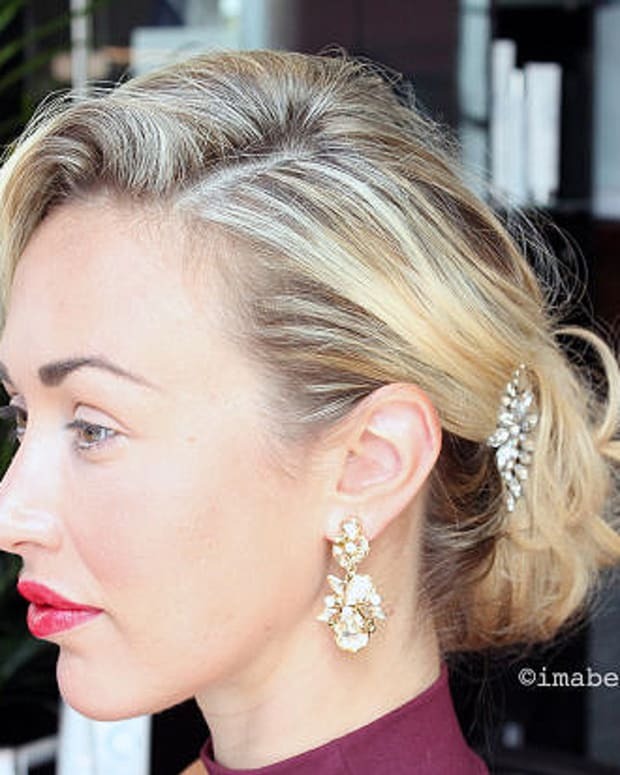 In case you missed it: how to create glamorous, old-Hollywood waves; the one-minute updo.